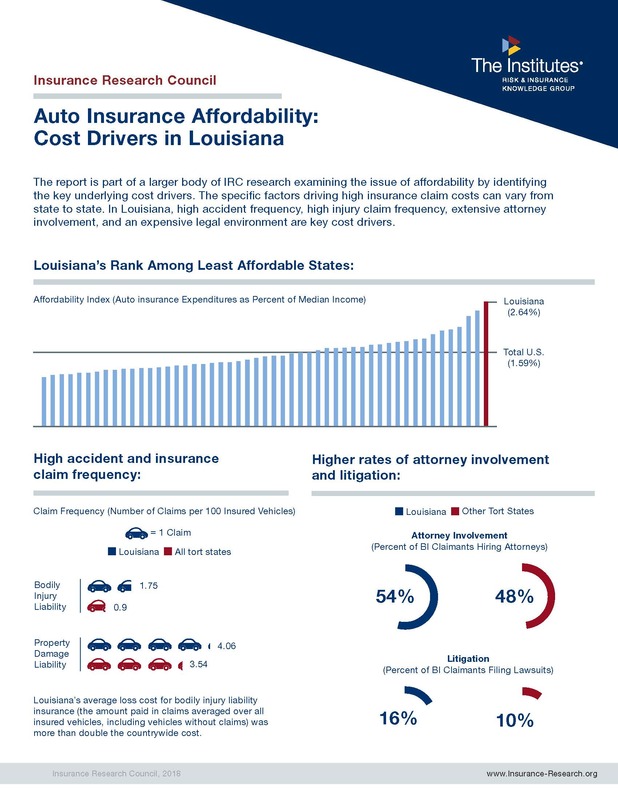 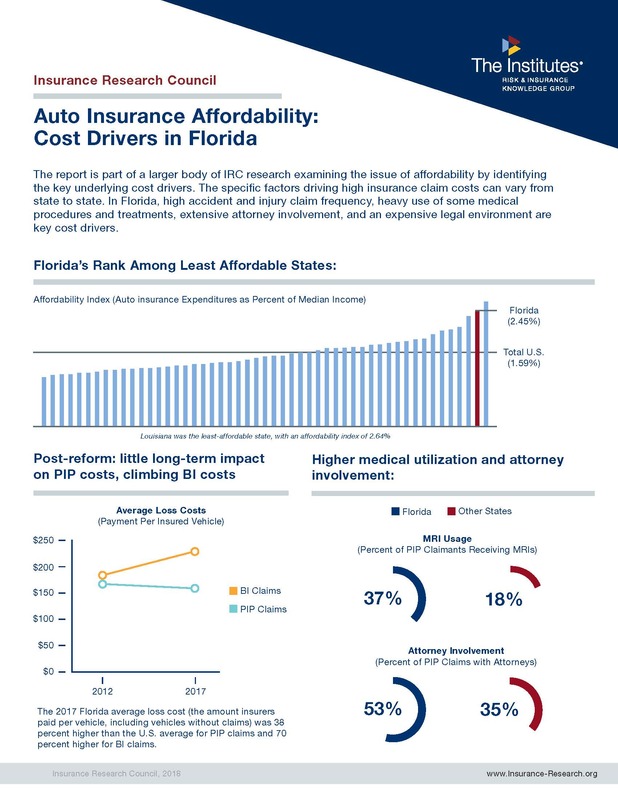 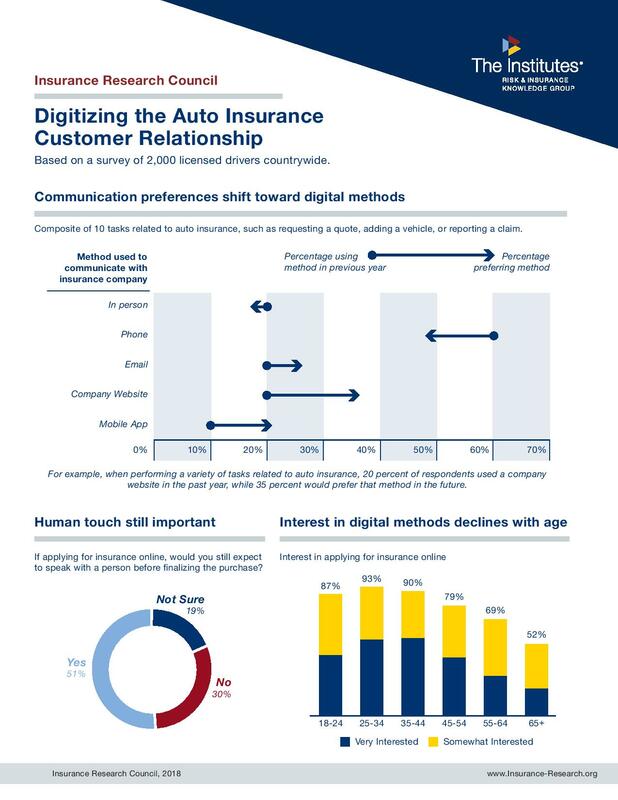 This updated study finds that auto injury claim severity pushes insurance costs higher. 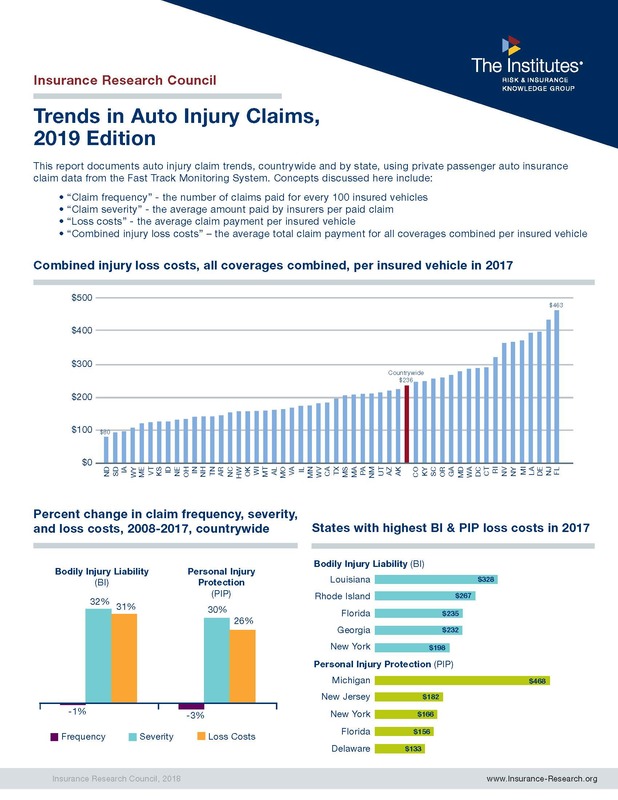 This closed claim study is based on a sample of more than 80,000 auto injury claims paid in 2017 and examines trends in claim patterns, including injuries, medical treatment, claimed losses and payments, the claim settlement process, and attorney involvement. 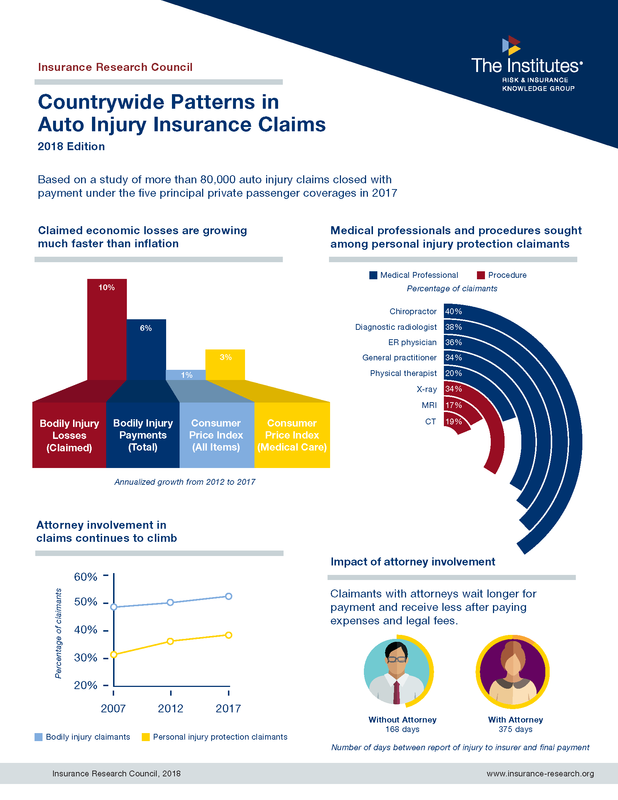 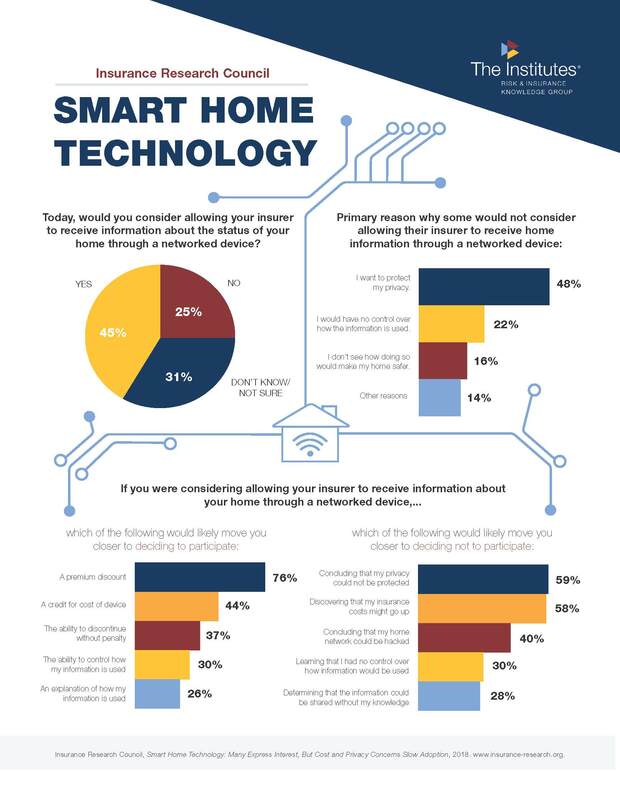 The report compares 2017 data to results from similar studies conducted in 2012 and earlier. 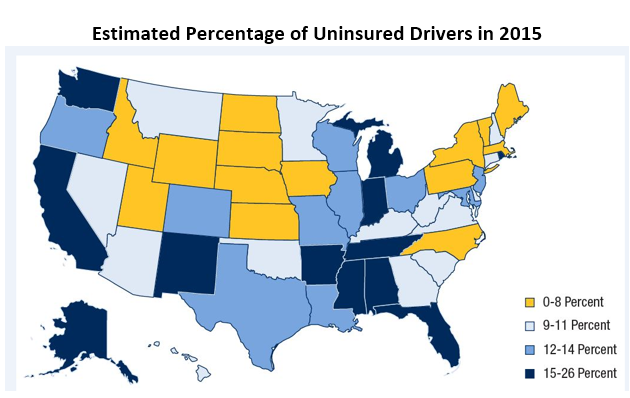 This study examines trends in the percentage of uninsured motorists by state and countrywide. 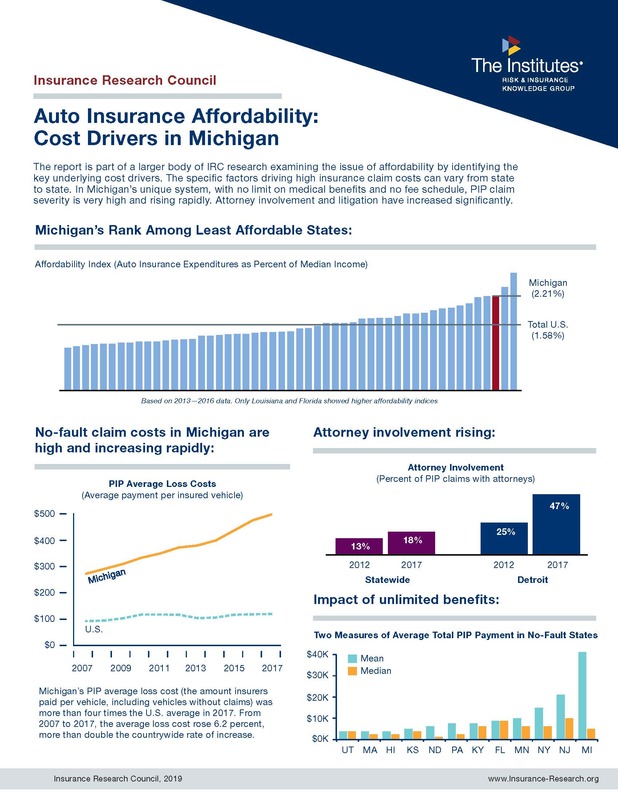 This edition of the report updates trends with new data for the period 2013-2015.